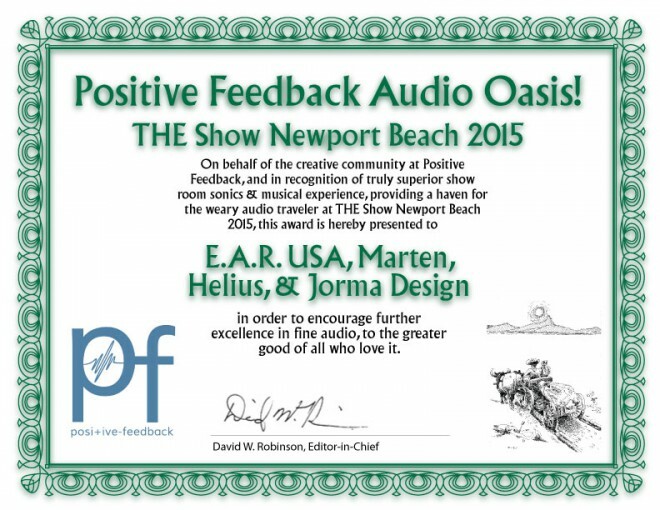 Very nice to be part of these two awards at THE Show Newport Beach 2015 from Positive Feedback. 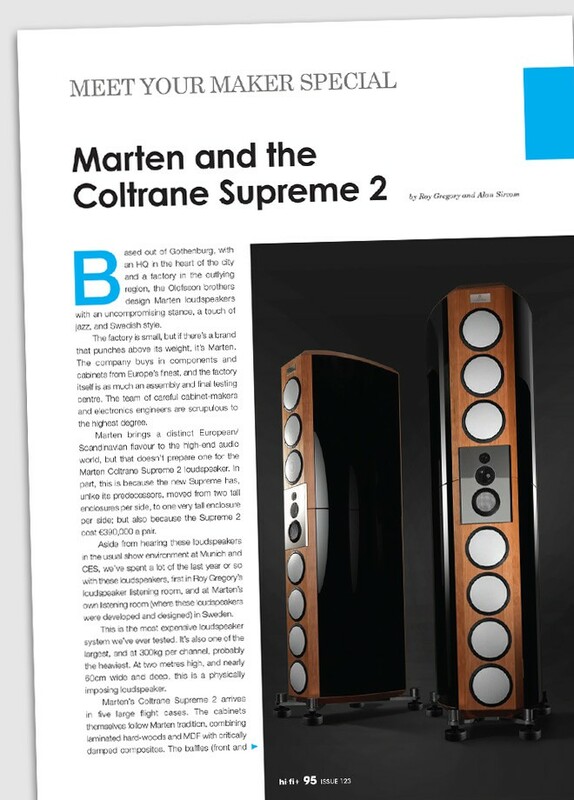 the Marten Coltrane Supreme 2´s real success will not be measured in sales, but in the influence in exerts over the Marten range, and – in a wider perspective – the whole high-end loudspeaker market. It´s that important! There’s a great article in the HiFi+ Loudspeaker Special, Issue no 123 of the UK magazine. Written by former editor in chief Roy Gregory and current editor in chief Alan Sircom. 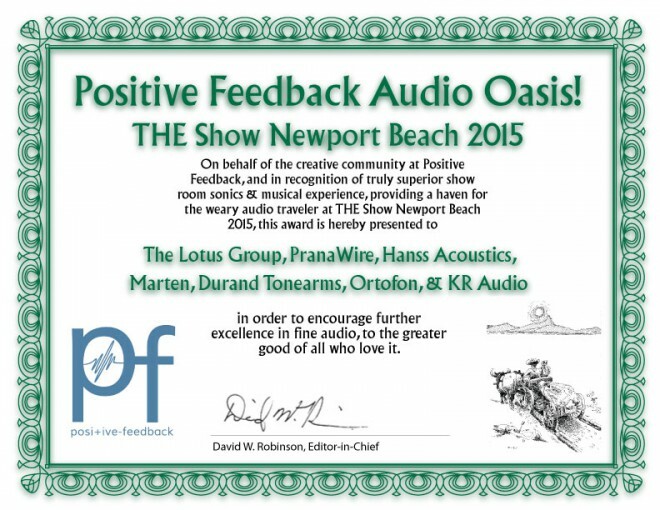 It’s all about our company and especially Coltrane Supreme 2.